Having had numerous tanks over the years, all sizes and shapes ! then going marine, and now back to freshwater !! 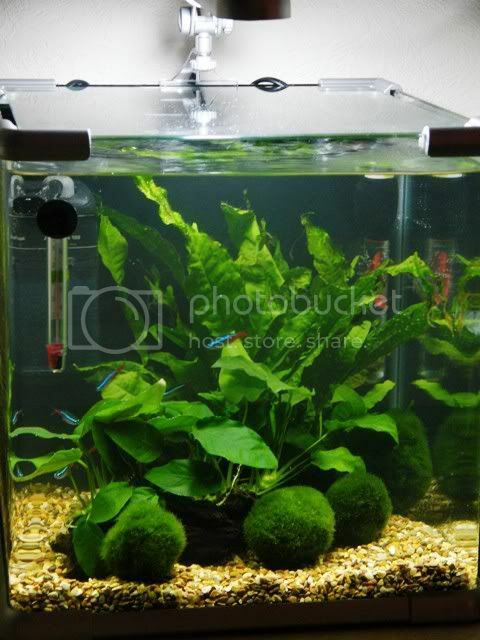 these are the two I have going at present, the 60 ltr has only just been set up using a mature filter, so it will be a few weeks before any more additions. 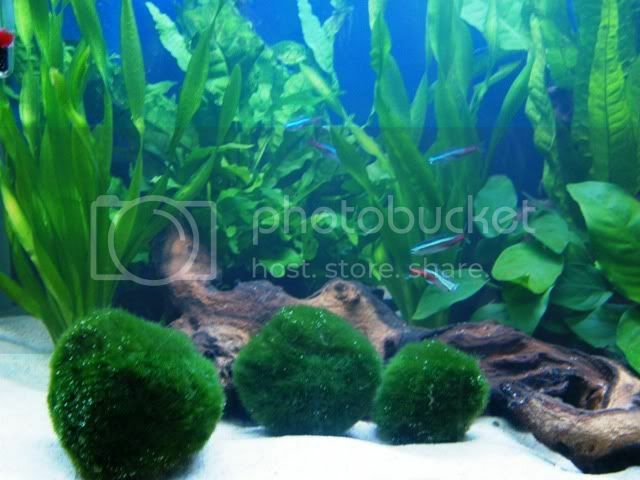 its going to be home to mixed tetras, and cories, or maybe a couple of rams , not sure yet !! also have a iny 25 ltr cube, which is going to change to just minnows and river rocks shortly , having been inspired by the front of the latest PFK mag !! Hi Maxi, See you are thinking of doing what I've done, River Minnows, in my 98 litre tank. I have white and gold Minnows 10 of each, and one largish Talking Catfish. 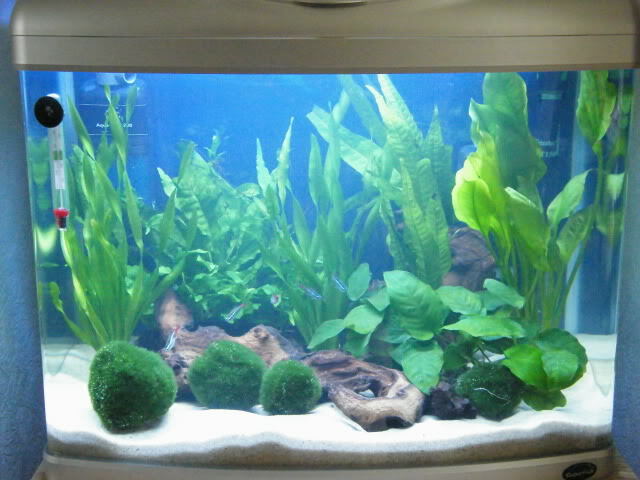 Also in process of changing my Marine Tank to a 180 ltre. bow front Juwel. Will post photo's of my tanks two marine, and two tropical, which includes a 400 litre tank, home to Discus and Angels, 10 cory's and a Synadontis Angelicus Catfish.